If you haven’t noticed by now, my style is more simple. I like to add personality to my outfits by adding layers, accessories, a pop of color or like in this case, by looking for details. 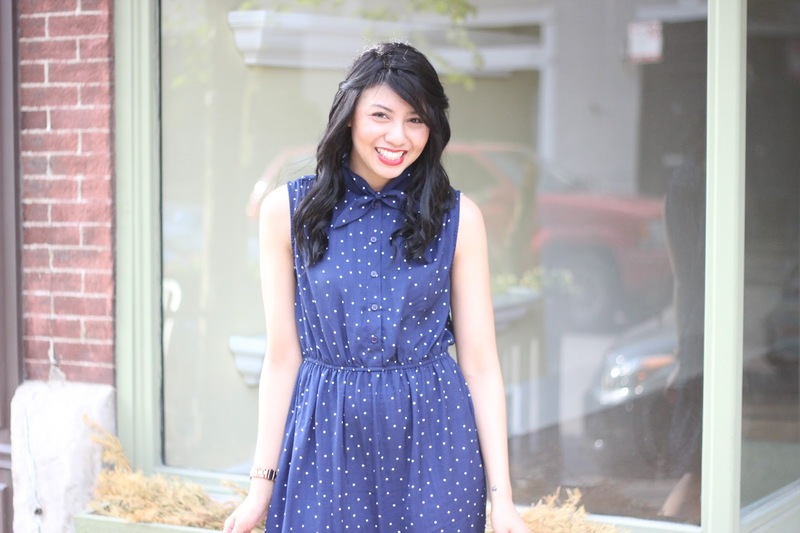 I was instantly intrigued with this dress because of the silhouette and polka dot print. When I looked closely, I noticed there were 2 extra fabrics hanging around the color and some type of loop in the middle. That’s when I realize that the loop is to create a bowtie! That’s when I fell in love with this dress! 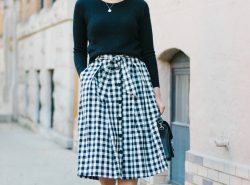 The bow detail is subtle, but it makes it so unique! It almost creates a neck-tie scarf look! Also, did you know you can win $500 Cash? Head here to enter to win! You kind of are the queen of the bows! (: Lovely dress Rach! Haha I do have a slight obsession with bows! Love the bow detail! This is the perfect dress – great fit with good details. Cute outfit! Love that dress on you! Lovely dress dear! Love the bow! What an adorable dress! 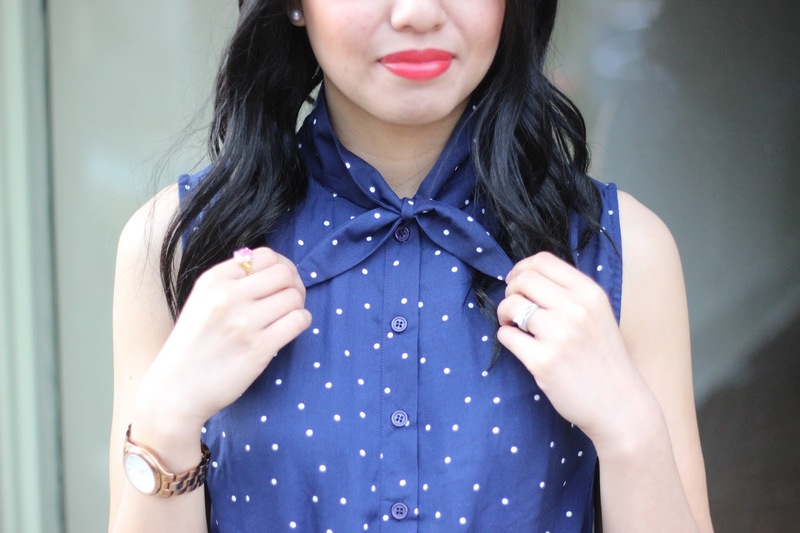 I love the classic touches from the bow and the polka dots… super cute! OMG so cute, love the dress and the shots!! So feminine and fun!! Love that cute neck bow and you just look so darling in that dress!! 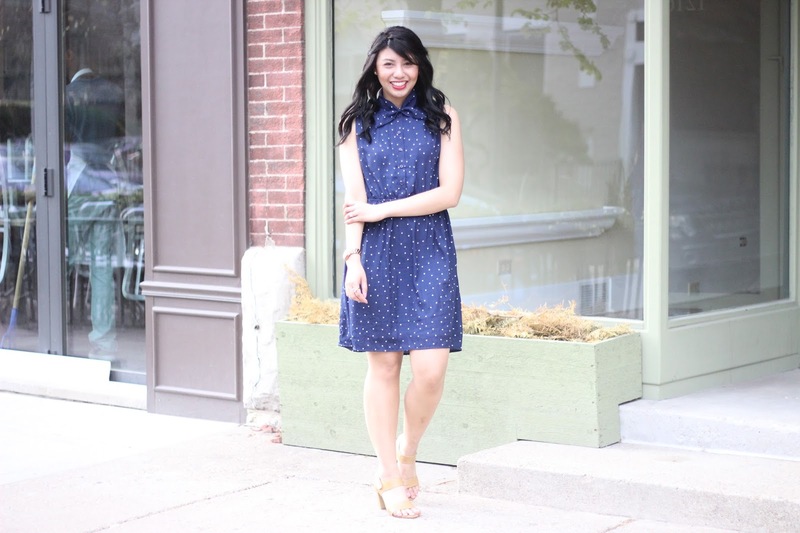 This is such a versatile dress for spring and summer! I love the tie detail! Absolutely adore a bow tie built into a dress! How adorable is the bow detail? I love the dress on you, Rach! Hope all is well, and I really hope to see you soon! very nice dress!! Great post! So pretty Rach! I love this dress! You look so gorgeous!!! seriously, how cute do you look in this adorable dress! you look gorgeous and that dress is amazing! The cut and color of this dress are super flattering and look great on you! Bonus points for the polka dots and bow! Love this look! This dress is super cute! 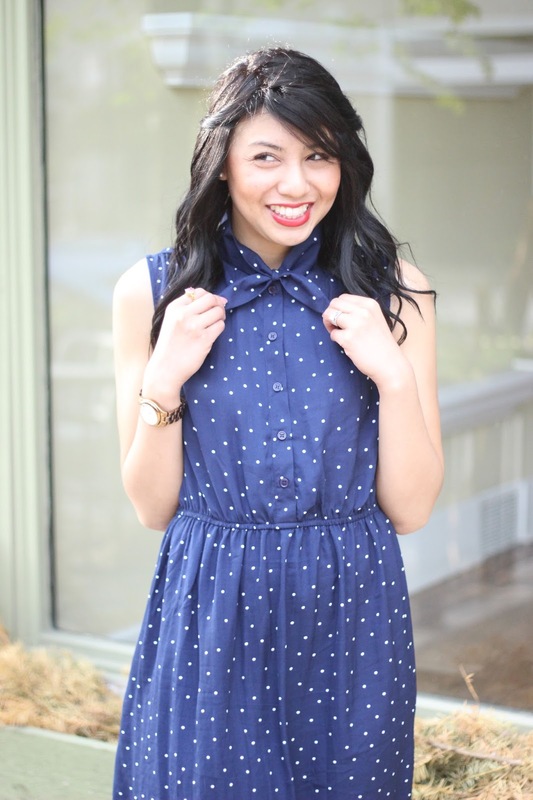 This dotted number is so breezy + cute, lady! Beautiful dress!! Love the bow! You look absolutely stunning, love the dress! Stunning. Thanks greatly and check out our latest GIVEAWAY. This is such a cute and pretty outfit. You look gorgeous in this dress. How cute are you?! Love that dress – so perfect for summer! Happy weekend lady! Thanks MC! Hope you have a wonderful weekend! This dress is so cute! I don't pull off polka dots well at all. But this looks really good on you. Love the print on that dress! You're right, the bow is subtle but it's super cute and unique. Also love how you styled your hair, it looks super cute like that! Hope you're doing well, Rach! I am in absolute love with this dress!!! Loving it! Super cute! What a fun extra touch!